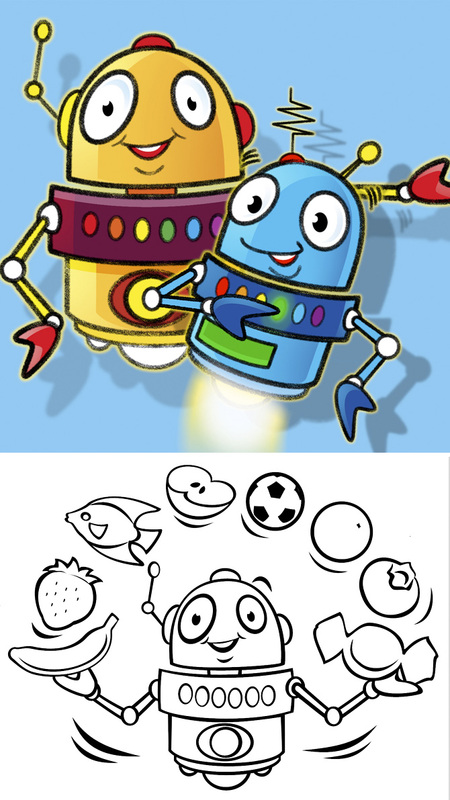 My 2 little robot characters created to launch the book of COLORS. 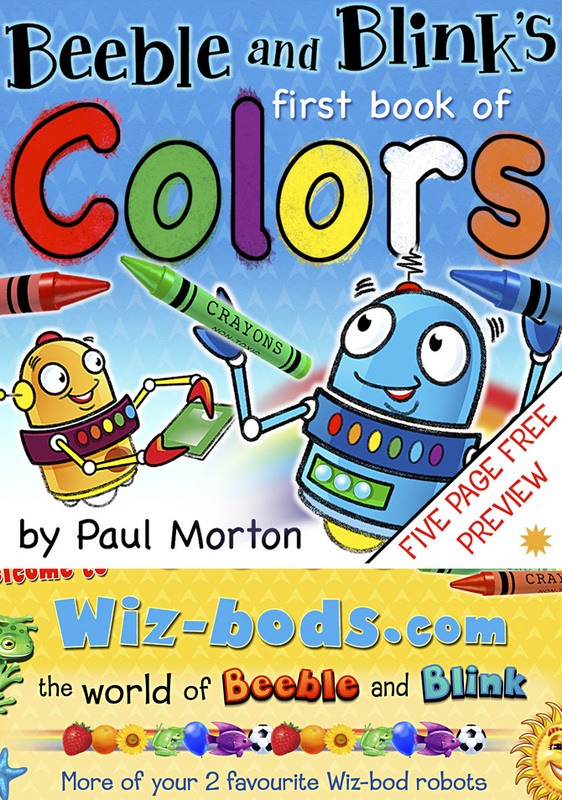 There will be more titles coming soon including SHAPES, NUMBERS and ABC. And they will feature in their own story as they buzz through space school. To see the book app. click this link. check out the Wiz Bod website. In the first 12 months Beeble and Blink has been read over 7,000 times!